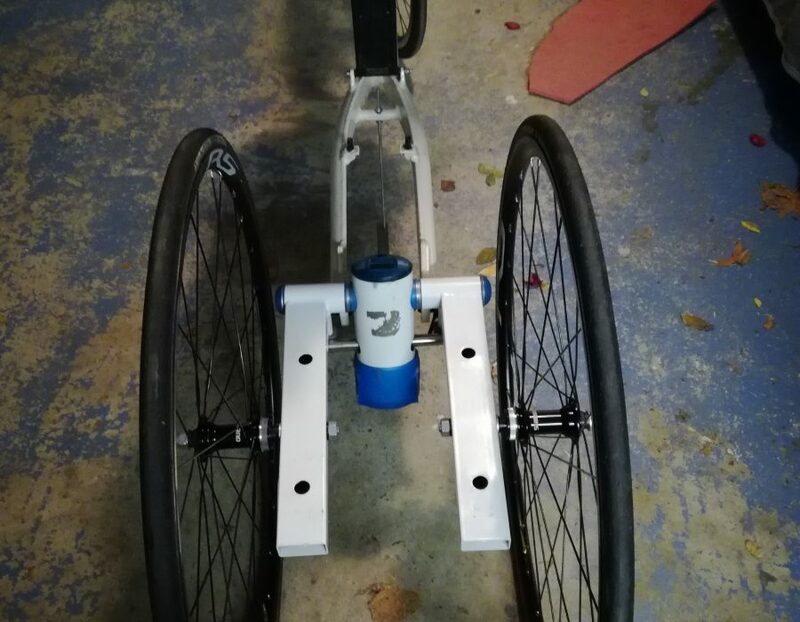 So after different choices have been evaluated, in November 2017 I started to build the first version of the Tilting Trike. The ideal positioning of the “tilting mechanism” was not immediately clear and several attempts have been necessary before defining the best lay out. Here is a first attempt with the pivot of rear arms below the rear wheel axle. In fact the trike was not able to lean, so it was almost impossible to turn. on the right my new tilting trike derived from a Raptobike. I managed to correct the ‘lack of turning’ of V1 by increasing the length of both rear swing arms. 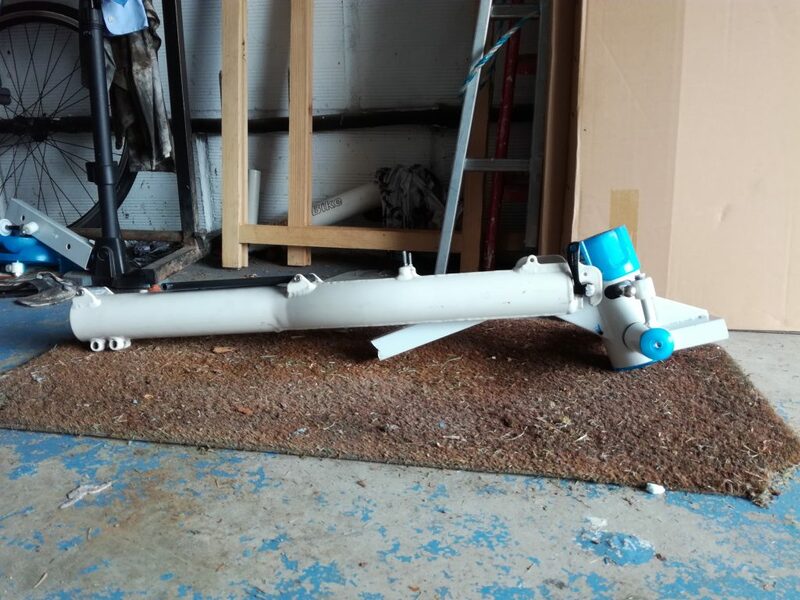 The wheelbase of V2 was then up to 134cm. 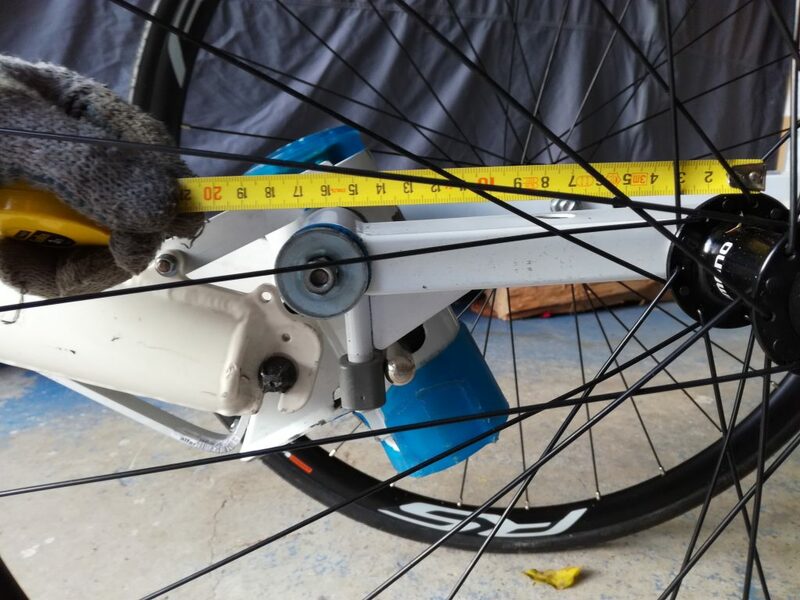 As a comparison, standard Raptobike wheelbase is 117 cm! From a riding perspective V2 was much better than V1: it was possible to lean in the turns even though the trike felt very ‘long’. Given the results of V2, I decided to reduce the length of the rear swing arms by roughly 5cm (from 21 to 16cm). This modification was very simple and fast to be put in place. 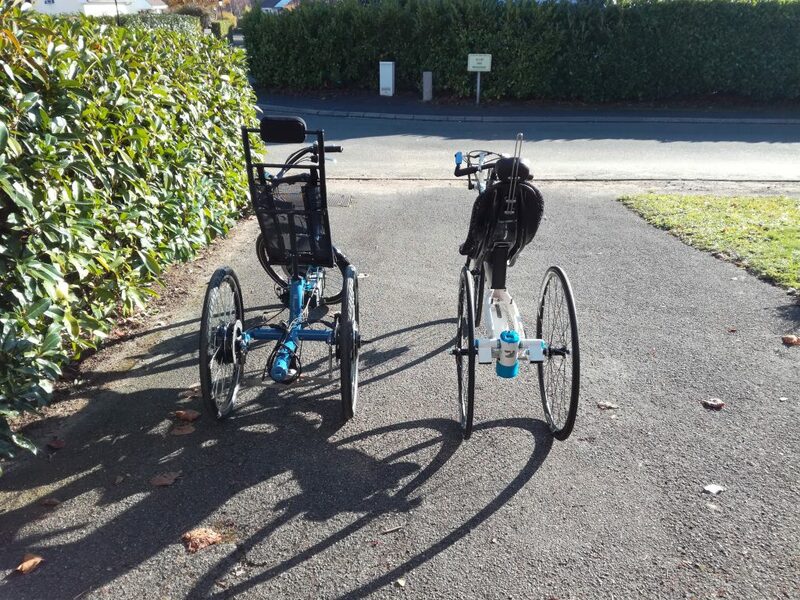 So I was rapidly able to do some tests: the results were very encouraging, the trike felt very smooth and entering/exiting from turns was easy and almost as ‘natural’ as if it was a 2 wheels bike. In this video we can also notice how well does the tilting mechanism allow to descend from the step. More work was still required and I started to think about the possible ways to design the future V4 version. GO TO PAGE "Tilting trike from V4 to V6"